Over £12 million will be spent on improving facilities at Tattershall Lakes Country Park this year. Holiday park operator Away Resorts has purchased Cosways Holiday Park on Mersea Island. The park, which is to be rebranded as Mersea Island Holiday Park, brings Away Resorts’ portfolio to five, joining Tattershall Lakes, Whitecliff Bay, Mill Rythe and Barmouth Bay. 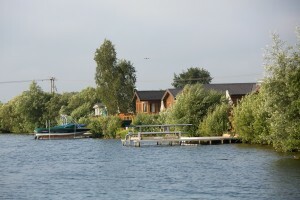 As part of Away Resorts’ long-term plan to invest in the development of all its holiday parks, a three-year improvement plan is also being implemented at Tattershall Lakes. Away Resorts claim the £12 million project is the biggest single investment planned for any UK holiday park in 2016. Away Resorts’ managing director, Carl Castledine said: “We are delighted to be able to showcase another new holiday park as part of our investment plans for 2016. Developments include an enlarged entertainment area with a newly extended bar and diner, as well as a new guest services office with additional parking. The on-site shop will also be extended, along with a new adventure golf, indoor activity marquee, large outdoor covered play area, toddlers play area, outdoor wet play area with slide and an extended beach area with more seating.